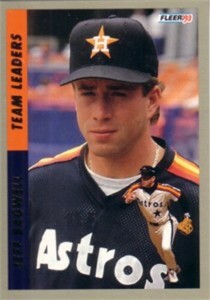 1993 Fleer Team Leaders insert card of future Hall of Famer Jeff Bagwell (#9). NrMt-Mt or better condition. ONLY ONE AVAILABLE FOR SALE.